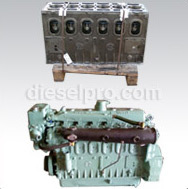 When your engine requires service, you can avoid the frustrating experience of shopping in local stores when you look for the 6-71 Natural 2 Valve Detroit Diesel replacement parts that you need through Diesel Pro Power. 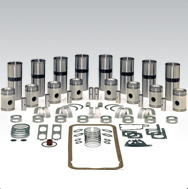 Because we are the world's largest online parts distributor for Detroit Diesel engines, we carry the parts you are looking for. 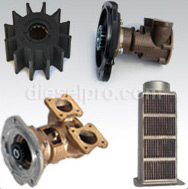 Whether you need an oil filter or gauge for your engine or you need other 6-71 Natural 2 Valve Detroit Diesel parts, you can rest easy knowing that a visit to our website is all that it takes to find your parts. With our 24-hour shipping policy and our ability to ship to all locations worldwide, Diesel Pro Power is truly your answer to all of your parts needs. 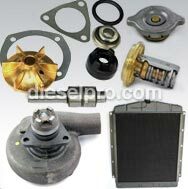 You can locate the parts you need within a matter of minutes when you take a closer look at the website today. The fact is that you do not want to use parts on your engine that were not specifically made for your engine. When you rely on Diesel Pro Power, you never have to try to make a part work or wonder if it is the right part for a specific task. You can take a few minutes of time today to make your purchase online, and we will begin processing your order for you. We truly make it easy to get the parts you need sent right to your location.